According to the revelation, Seito Kogyo Kaikan, a Tokyo-based building management company operated by the Japan Sugar Refiners’ Association, donated 1 million yen to the LDP’s Tochigi No. 2 constituency chapter headed by Nishikawa in July 2013. Minister of Agriculture Koya Nishikawa faces a fresh donation scandal after a Liberal Democratic Party (LDP) chapter he heads was found to have received 1 million yen in donation from a sugar industry group right before Japan joined the Trans-Pacific Partnership (TPP) free trade talks in 2013. Sugar is one of the five key agricultural products that Japan seeks to have exempted from tariff elimination in the TPP talks, and the sugar industry has also been calling on the government for protection. Nishikawa was chairing the LDP’s TPP affairs committee at the time of the donation and has been involved in TPP talks since assuming the post of agricultural minister. According to the revelation, Seito Kogyo Kaikan, a Tokyo-based building management company operated by the Japan Sugar Refiners’ Association, donated 1 million yen to the LDP’s Tochigi No. 2 constituency chapter headed by Nishikawa in July 2013. The donation came just four months after it was announced that the association would receive 1.3 billion yen in subsidies under a Ministry of Agriculture, Forestry and Fisheries’ project to establish a system for stable production of sugarcane and other products. The Political Funds Control Act bans companies from making political donations for a one-year period after being notified of a decision to grant government subsidies to them. The chairman of the Japan Sugar Refiners’ Association also presides over Seito Kogyo Kaikan, and the two entities share board members. The offices of the two organizations are located on the same floor of a building. Professor Tomoaki Iwai at Nihon University, who is versed in political funding systems, points out, "The two entities should be regarded as one, and the donation appears to be of a loophole nature and extralegal in light of the spirit of the law." The Japan Sugar Refiners’ Association has called on the government to protect domestic sugar farmers. On top of sugar, the government has been seeking to have rice, wheat, beef and pork, and dairy products exempted from tariff abolition. Japan first joined TPP negotiations in the 18th round of meetings held in Malaysia on July 23, 2013, and Nishikawa was in Malaysia as the LDP’s TPP affairs chief at the time. Shortly before, Seito Kogyo Kaikan had made the 1 million yen donation to Nishikawa’s party chapter on July 17 that year. According to political funding reports, there were no donations related to the Japan Sugar Refiners’ Association to Nishikawa’s party chapter from 2010 and onwards, after Nishikawa lost his Diet seat in 2009. However, after Nishikawa returned to national politics in the December 2012 House of Representatives election, Seito Kogyo Kaikan donated 300,000 yen to the party chapter on Jan. 11, 2013. Furthermore, three companies including one headed by the Japan Sugar Refiners’ Association chairman donated a total of 700,000 yen to Nishikawa’s party chapter between Jan. 18 and Feb. 5 that year. Seito Kogyo Kaikan further donated 1 million yen to the chapter in July that year, followed by a purchase of party tickets worth 400,000 yen from the chapter on Sept. 30 the same year. A senior official with the Japan Sugar Refiners’ Association said, "The donations from 2013 were made because Mr. Nishikawa had made a comeback in the preceding election and he is a lawmaker with vested interests in agriculture and forestry in the first place. He is versed in international negotiations and systems in other countries, and he is ready to do a good job any time." The official continued, "The Japan Sugar Refiners’ Association is a voluntary organization and is not allowed to possess real estate, and that’s why it created Seito Kogyo Kaikan (to manage its own building). 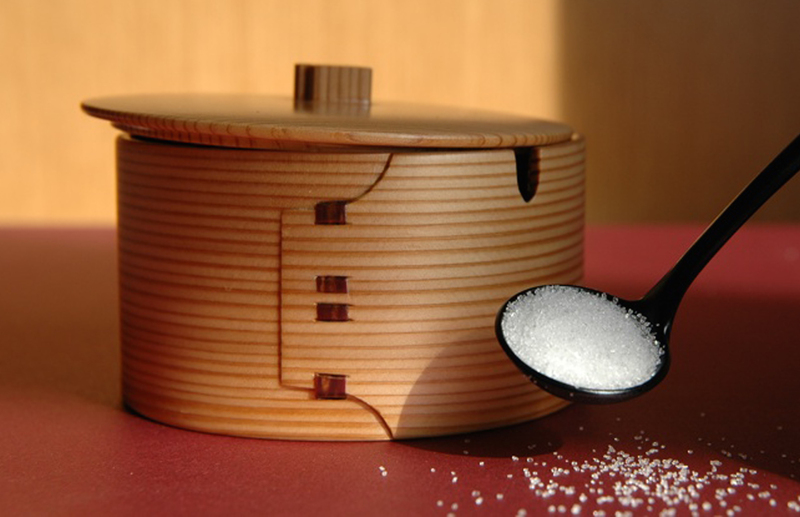 Although there are similarities in the two entities in a substantial sense, the Japan Sugar Refiners’ Association and Seito Kogyo Kaikan are separate organizations. We make sure not to cause problems in light of the Political Funds Control Act." A representative of Nishikawa’s office told the Mainichi in a written statement, "We properly deal with donations in accordance with the law and regulations. The donations by Seito Kogyo Kaikan have nothing to do with TPP negotiations." At a press conference on Feb. 17, Nishikawa stated, "I returned the money this morning so that I would not come under any suspicion in light of my capacity as agricultural minister." He added that he had learned about the issue "only after I was interviewed (by the Mainichi Shimbun) yesterday." Prime Minister Shinzo Abe denied the possibility of Nishikawa stepping down over the series of donation issues involving the latter’s party chapter. "There is no problem in terms of the Political Funds Control Act," Abe said during a House of Councillors plenary session on Feb. 17.